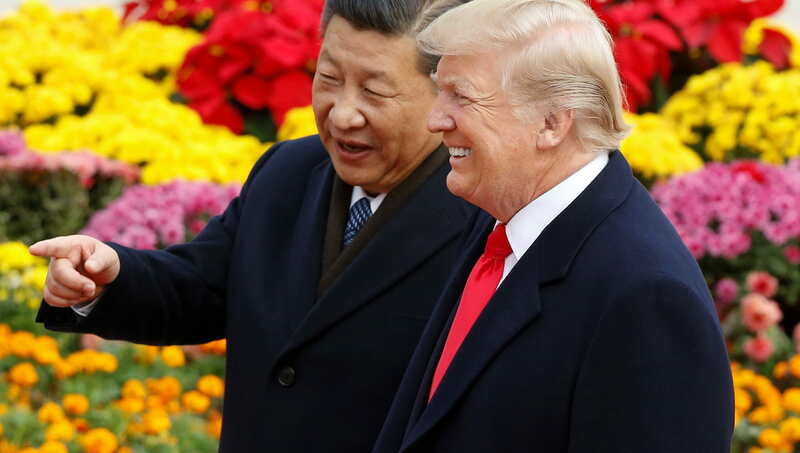 Michael Fullilove and Hervé Lemahieu say China is rapidly gaining on the US as an Asian regional power, and the Trump administration’s mismanagement of trade and diplomatic ties in the region threatens its most significant advantage. Originally published in the South China Morning Post on 11 May 2018. According to the Lowy Institute’s inaugural Asia Power Index, the United States remains the pre-eminent power in Asia. But this may not last long if current trends continue. The US claims the top spot in five of the eight index measures and a 10-point lead over China overall. The US retains the most powerful military in Asia and is at the centre of a network of regional alliances that Beijing cannot match. But China’s economic march is irreversible. While the US economy retains a slight edge in overall economic strength, China’s economy is already significantly stronger in purchasing power parity, and leads in the reach and depth of its economic relationships in Asia. This is a glaring weakness in US influence in Asia, and President Donald Trump’s withdrawal from the Trans-Pacific Partnership trade deal with 11 leading Asia-Pacific economies exposes America even further. There is a wide power differential between the US and China – the two regional superpowers – and the rest of the region. However, other Asian countries are rising. India (in fourth place on the index) is set to become the fastest-growing economy in the region, predicted to grow 169 per cent between 2016 and 2030 and add 169 million people to its working-age population. India is Asia’s sleeping giant, and may soon wake. Kim Jong-un has successfully muscled his way into a summit meeting with the US president – but North Korea is weaker than it appears, a misfit power whose military capability far outstrips all other aspects of its power. While this asymmetric, nuclear-charged posture has proven an effective deterrence and disruption strategy against far larger powers like the US, North Korea remains brittle, its power concentrated in one dimension. It has a tiny economy, a small and unproductive working population, no trading relationships and only one, currently testy, ally. Kim has played a weak hand very well. Where the US is strongest in Asia is in its alliances and defence networks. Over the course of more than half a century, successive US administrations have built a network of alliances across Asia which are the envy of China. The US has formal alliances with Japan (ranked third in the index), Australia (6th), South Korea (7th), Thailand (11th), New Zealand (12th) and the Philippines (16th). By law, it supports the defence capabilities of Taiwan (15th). It maintains close partnerships with other players, such as Singapore (8th). Yet Trump has been sceptical of alliances for decades. In the past year, allies have found the experience of dealing with Trump’s Washington to be a bracing one. For example, the president’s relationship with Australia – a key ally in the region – started badly, with an ill-tempered phone call, then improved somewhat during the next year, but has just suffered another blow when the administration withdrew the nomination of Commander Admiral Harry Harris of the US Pacific Command on the eve of his confirmation hearings to be ambassador to Australia, sending him to South Korea instead. Trump has repeatedly questioned whether allies are pulling their weight. But he misses the larger point: the Asia Power Index shows that these alliances advance US interests and are valuable in ways that money can’t buy. Without them, China’s ascension in power over the United States is all but assured. There is far more happening in Asia than the competition between two superpowers, however. Japan, Singapore, Australia and South Korea are the biggest overachievers on the index: they outperform on influence compared with the size of their economic and military resources. Tokyo is the quintessential smart power: it has the second-largest diplomatic network of the index countries after only China, it has embraced membership of key multilateral clubs and summits, and it has a strong regional network of trade ties. Singapore is a stand-out: for a small city state of just 5.6 million people, it is highly networked and externally focused, operating the second-largest port in the world. Australia and South Korea have both built strong defence networks and cultivated regional trade and investment ties to their advantage. The new great game is in Asia – and it’s game on.